so, of course, we had to visit a quartz mine. looking for the clear crystals. WE found some pretty cool specimens. 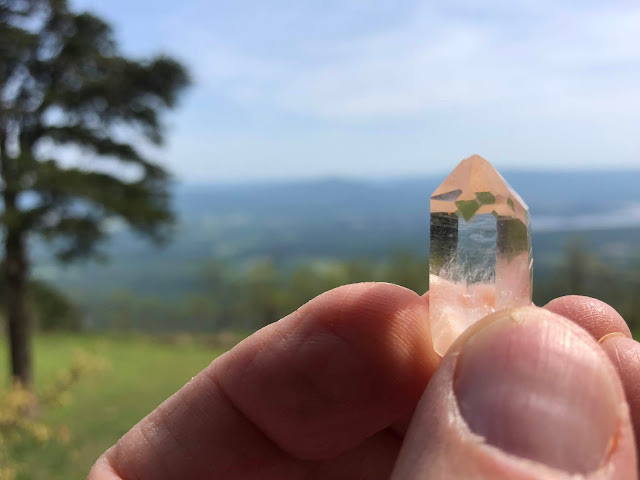 This was a our best find, a complete quartz crystal. I forgot how fun it is to play in the dirt! 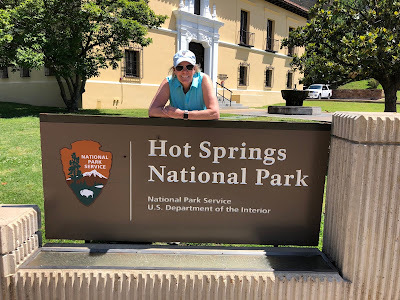 We finally made it to Hot Springs. Even though its relatively close to us, we had car trouble when we attempted to visit the park. 2018 was finally the year of the hot bath! what the bathhouse craze was all about. In addition to actual baths, they provided massages. And they had beauty parlors too! And physical fitness was emphasized with this gum. The town of Hot Springs has free spring water available downtown. And you can still see some springs flowing from the hillsides.